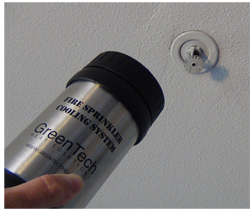 The patented, magnetic fire sprinkler cooling system from GreenTech Heat is a thermal protector for fire sprinkler heads and offers a margin of safety for conducting a heat treatment to exterminate bed bugs or other insects when fire sprinklers are present. Fire sprinklers are typically found in hotels, offices, and apartments. Fire sprinkler systems can also be found in residential buildings, and possibly in any structure. Fire sprinklers are uniquely engineered to burst the glass module that triggers the flow of water at specific temperatures, and thus require thermal insulation for fire sprinkler heads during bed bug heat treatments. The range of sprinkler trigger temperatures found in residences is typically between 135°F and 200°F. Modern residential structures such as hotels and apartments are typically triggered between 155°F and 180°F. Check with local building codes for specific data regarding your area. fire sprinkler protection for heat treatments Common modern fire sprinklers protrude from the ceiling approximately 1.5" to 2" with a metal finishing ring flush against the ceiling. The fire sprinkler cooling system is designed and tested to allow a margin of extended “working” temperature while conducting a bed bug heat treatment. 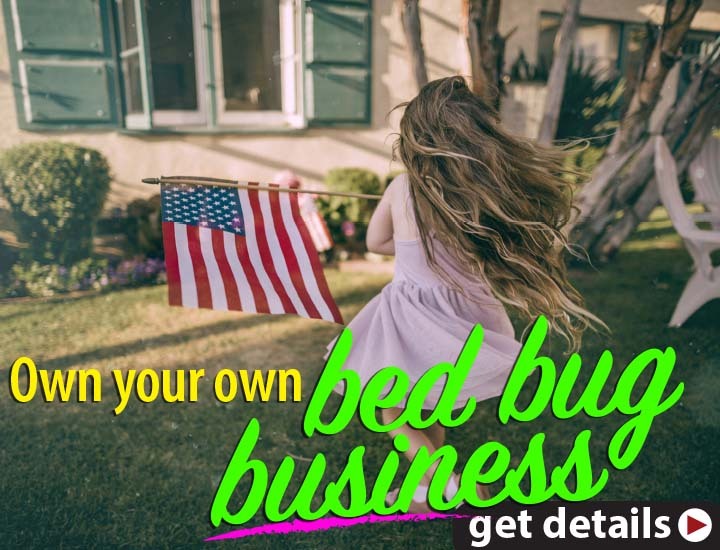 Bedbugs begin dying at temperatures above 120°F. Today’s common temperatures for heat treatments are from 130°F to 160°F. See the GreenTech Heat Treatment Field Guide. Whenever treating rooms with sprinkler systems caution is strongly advised. Heat temperatures can change rapidly and potentially damage treatment area contents if not monitored regularly. Dr. Linford teaches methods to protect fire sprinklers during structural termite treatments or extended bed bug heat treatments. Fill each magnetic fire sprinkler cover with an inch of water and freeze the fire sprinkler cover overnight. The additional thermal headroom allows a greater temperature buffer around the fire sprinklers. If you find different sprinkler types, we have solutions for most of these too. Give us a call; we have alternate solutions for other sprinkler units. Our thermal insulators for fire sprinkler heads during bed bug heat treatments provide a margin of safety and peace of mind.